This is something that I have written about before but I feel is so important! Women (and men) use many personal care products, but many of these products can contain chemicals that are absorbed into skin and then very quickly leached into the bloodstream. 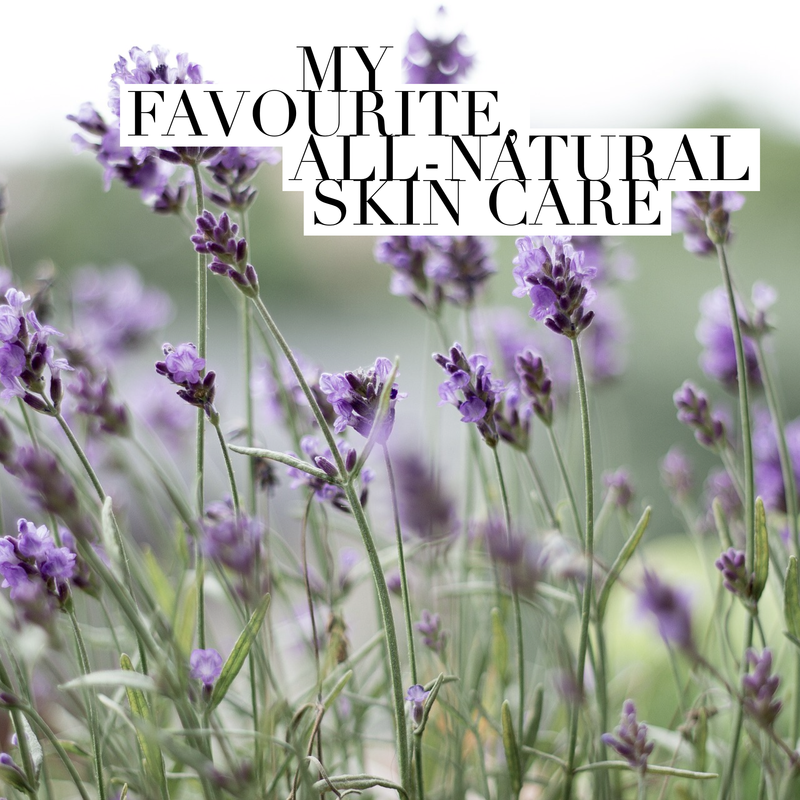 My first introduction to how important natural skincare is was when I was about 17 years old and started to really explore what I was really using on my skin. I’ve always had terrible skin but I hated the idea of using such harsh chemicals or even drugs to control my skin. I eventually went on accutane, after my skin literally exploded in breakouts. It was a last-ditch effort and the only one I thought I had left. It did clear up my skin but, that being said, I’m not sure at what cost. My skin was dry and itchy and my eyes felt so dry too. I’ve read so much about side effects of using this drug in the short and long term which scare me to say the least. I wanted answers and I wanted alternatives and everyone seemed to have a suggestion of what worked for so-and-so. I felt like I had tried it all and that my skin was too far gone for natural treatment. I’ll never know if I could have healed my skin naturally but, I have since been off accutane for a number of years and I will never go back. My skin is a constant touch and go and I do have some scarring, which I don’t love but I’m also not shy to discuss that it is there from when my skin was really bad. But, I now feel like I am more knowledgeable and educated with products that can work just as well without all the nasty side effects. When I was on accutane I was constantly looking for things that would hopefully work for me. I started reading Sophie Uliano’s book Gorgeously Green: 8 Simple Steps To An Earth-Friendly Life. It really started to get me thinking about exactly what was in all these skincare products I had been trying. It was an introduction to parabens, PEG’s, perfumes, etc. 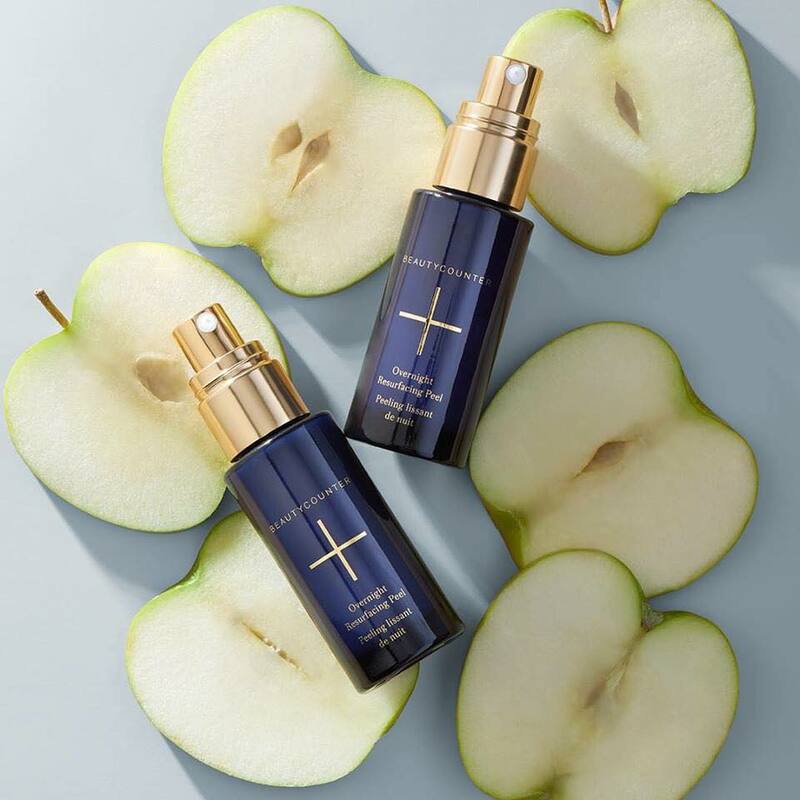 As a teenager, and one about to head to university, I wanted to try anything and everything that would work and never really felt confident that my skin would respond well to more natural options, so I didn’t even try things out as I should have. Now that my skin has cleared up and I have found a few products that I am really happy with (some in my own kitchen) I am excited and seeing results. I also know skin changes with age but a few of these products have definitely helped to improve my skin! 1. Mineral Cleansing Concentrate – it’s a great option for people with problematic skin. It contains the mineral ichitol which helps to calm oily and acne prone skin. 2. 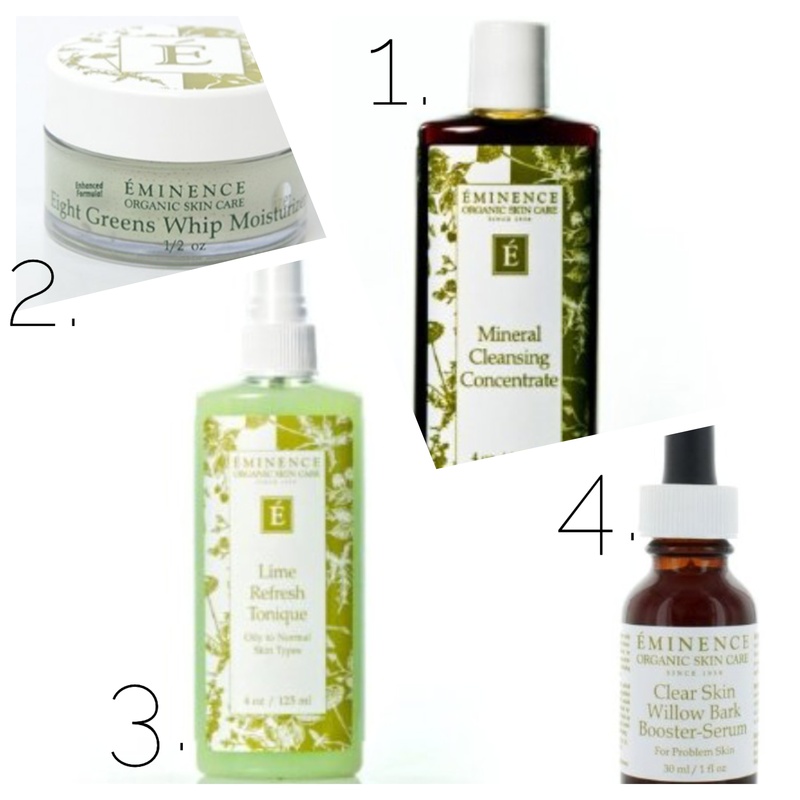 Eight Greens Whip Moisturizer – This is by far my favourite moisturizer that I’ve ever used. It’s light and whipped moisturizer and is full of antioxidants! It’s a light moisturizer that I never found made my skin feel greasy or break out like other moisturizers. 3. Lime Refresh Tonique – This toner smells like fresh fruit. It’s awesome that it comes in a spray. It is good for oily skin and has a tonne of vitamin c! 4. Clear Skin Willow Bark Booster Serum – This is like the icing on the cake! It has both willow bark and tea tree oil to help calm your skin and can take care of any irritation. 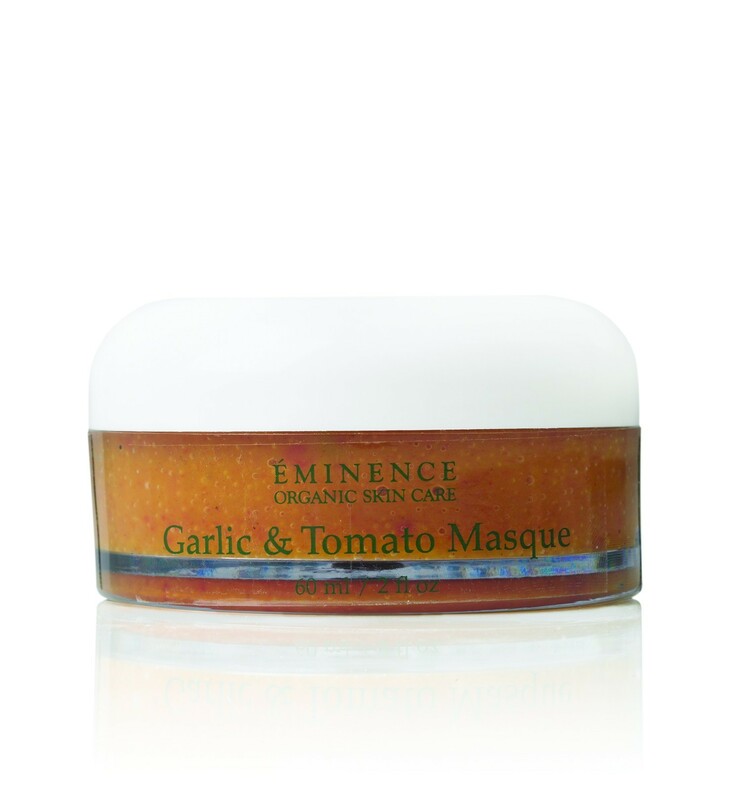 Another product I really love from Eminence is the Garlic & Tomato Masque. It is so refreshing and leaves my skin feeling clean and smooth. Garlic is antibacterial so it is great for problematic skin. Another skin care line that I like to use, especially if I am in a pinch, is Avalon Organics. I use their lemon shampoo daily and I just love it. Their Lavender Luminosity collection smells amazing and I find it is great for my skin. Using plant-based ingredients the line is not only amazing in scent and performance and price but it doesn’t include harsh chemicals. Best of all, the line can be purchased at grocery stores such as Superstore or Save on Foods. Another great tip for natural skin care is using oils to cleanse your skin. I’ve used coconut oil, sweet almond oil and extra virgin olive oil. It’s hard to believe but oil can be a great cleanser! A 2011 article on wholeliving.com says “Many types of oil — especially those rich in linoleic acid, such as safflower, grapeseed, and sunflower — have antioxidant and anti-inflammatory properties when used topically, say dermatologists who advocate oil’s use in cleansing.” The article also states that these oils can protect sebum which is the skin’s natural protection. A big trend for the last couple of years has been using coconut oil for literally everything. I love, love, love coconut oil and I find that is really does my skin good. According at a 2012 Huffington Post article, Coconut Oil For Skin, Hair, Body: 6 Things To Know About The Super Ingredient, coconut oil is a great moisturizer and there are so many uses for it. I personally found that coconut oil really helped quell my skins irritation and give it, overall a more hydrated and healthy look. 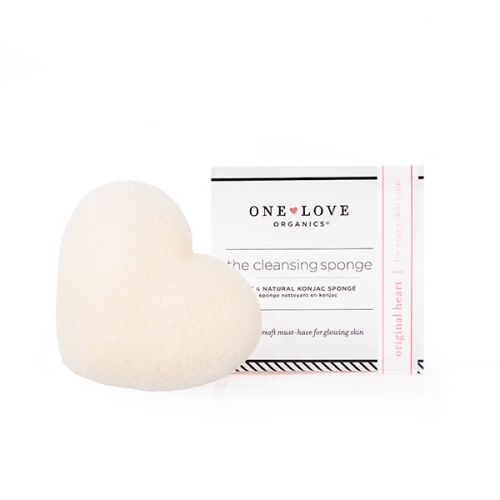 Another product that I have recently discovered, thanks to my good friend northofbloom.com, is One Love Organics the Cleansing Sponge. The Cleansing Sponge is 100 per cent konjac fibre which is derived from the konjac plant. It is detoxifying and I can really feel it when I cleanse my face. It gently exfoliates your skin and you have to use less cleanser on your sponge. My skin feels so soft and supple and I know that I am buffing away dead skin and dirt but because it’s not a harsh exfoliant I feel comfortable using it daily. There are so many other great kitchen skin care recipes and ideas. Garlic for anti-bacterial, lemon as peel of sorts, cinnamon and honey to calm, avocado for moisture, etc, etc. can all be used to help keep your skin healthy. If you are interested in more DIY, natural, organic skin care I would highly suggest checking out all the great recipes on sophieuliano.com. Sophie, author of the Gorgeously Green series, has some amazing recipes that utilize everyday household ingredients! Thanks! I’m so glad you found it informative!